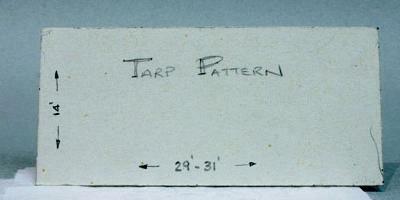 The first step is to make a mandrel as close as possible in size and shape as the original Auscision tarpaulin. This can be shaped from timber or resin but ideally is a plaster cast; this has a surface that can be polished and sealed. Cut the tarpaulin to fit this template which has the prototype dimensions. 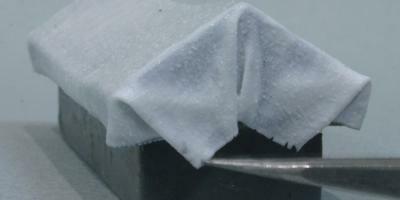 In the example shown the material is a fine cotton material obtained from a local retail outlet . Kiwi "Protect All Waterproofer" (supermarket) was sprayed onto the mandrel as a release agent before placing the cotton fabric. 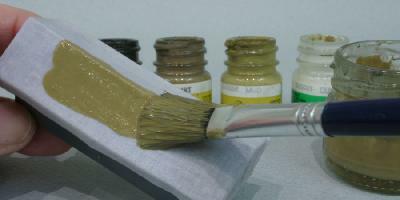 After dampening the cloth, PVA glue was applied with a brush. The ends were folded in the same way as the prototype. When dry but still on the mandrel the tarp was painted with model acrylic enamel of a suitable colour. Small holes were made in the tarp at the appropriate places. 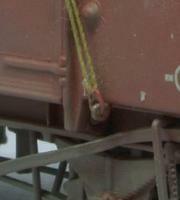 The tarp was placed on the wagon and fine cotton threaded into the holes and tied off. The other end was tied off through the lashing rings which are held in the vertical configuration with a spot of CA glue applied with a toothpick. 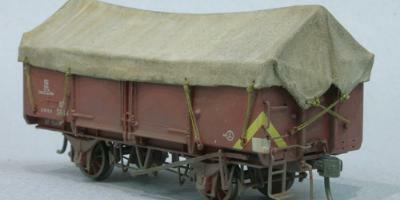 A finished wagon. 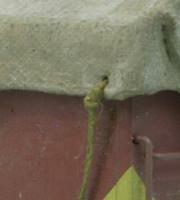 Note how the ends of the tarp are folded and the way the ropes are arranged. 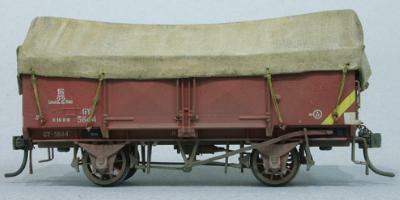 Another view of a finished wagon.